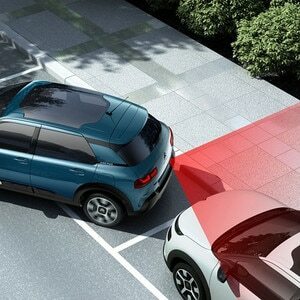 Transforming visibility as you drive and during manoeuvres, the Surround Rear Vision system is an innovation you’ll appreciate every day. With a 5” colour screen placed in the rear view mirror location, the system uses two cameras to give you three different views of your immediate surroundings, in real time. 1 − A full and clear view of your surroundings behind the vehicle whilst driving. 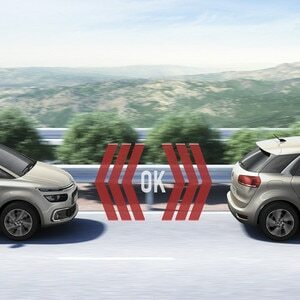 2 − Images of the passenger side surroundings, to eliminate the blind spot on your left hand side. 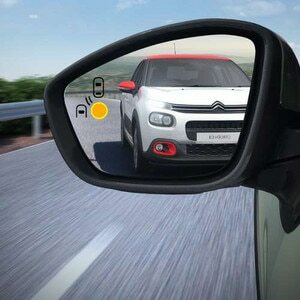 3 − The reversing camera, to see the area behind you whilst manoeuvring in reverse gear.